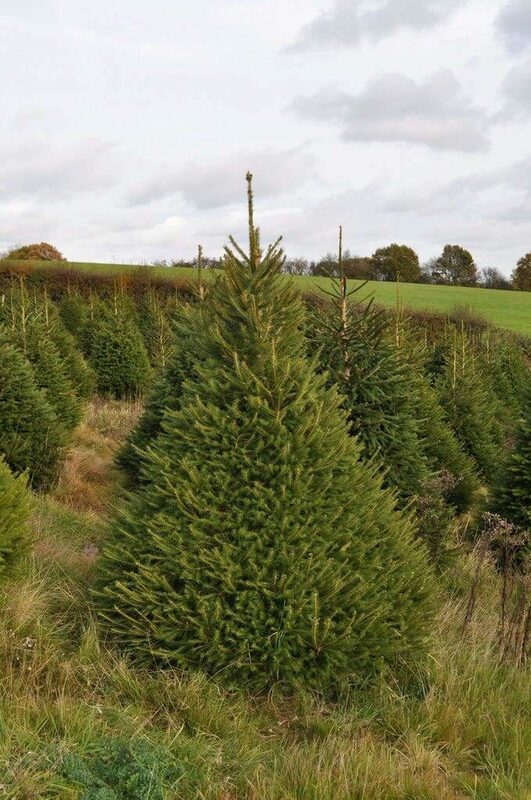 If you grew up in the UK and are over the age of about 30, chances are the Norway Spruce (邏 Picea Abies) is the Christmas tree of your childhood. 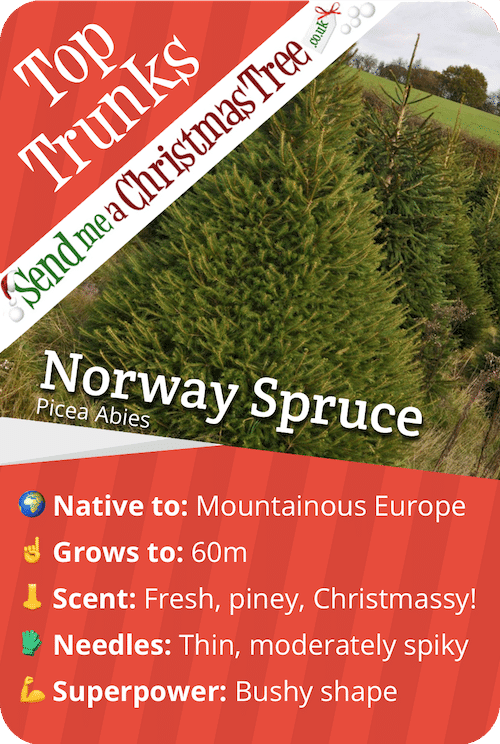 Found natively in Europe – particularly Northern, Eastern and Central areas – they are also one of the most widely cultivated spruces across the globe. You’ll see them growing across the UK, but the tree isn’t actually considered native to these isles (though it was introduced yonks ago). The Norway Spruce is a fast grower, if left to their own devices they can grow 2-3ft per year. When we’re growing them for Christmas, however, we tend to train the tree to direct all it’s growing energy to achieve a nice bushy shape rather than shooting upwards. 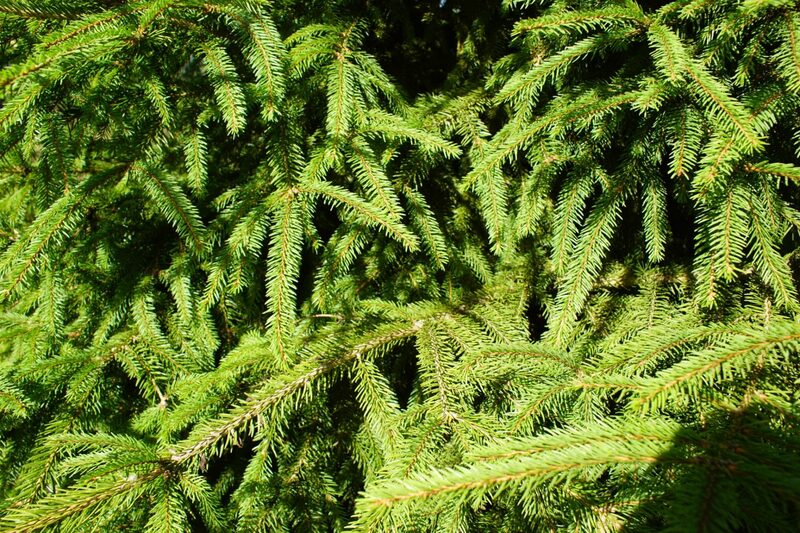 It’s speedy growth and hardiness make the Norway Spruce a popular choice for timber. The timber is smooth, strong and light in colour and is often used by carpenters to make joists, rafters and floorboards. As they get taller, the trees change a little in appearance. That’s why the Spruce in Trafalgar Square (donated each year by the city of Oslo to the people of London as a token appreciation for support in World War II) might look like a different tree altogether to the one in your sitting room. Beyond about 20 feet, the foliage tends to hang or droop more from the branches, where on younger trees it’ll look a bit more upright. You might also see long cones hanging down from the taller Spruces. It’s also obviously much harder to look after a tree that’s 20ft tall, so you’re less likely to see the perfect pyramid shape you’re used to. 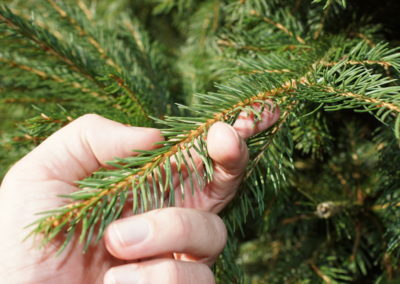 If you’re struggling to identify your tree as a Norway Spruce, take a look at the needles. 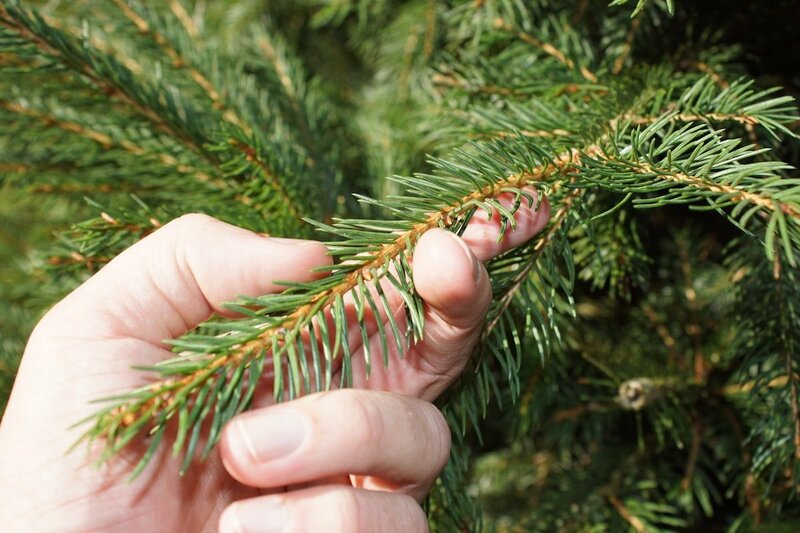 They should be around an inch long and, if you take one and look closely, you should notice it has four distinct sides (unlike needles of firs, and of the Serbian Spruce, which are flat). Aside from the fact that it might hark back to your childhood, the biggest reason to get a Norway Spruce is probably the scent. It’s an instantly recognisable rich, deep pine smell; fresh and oh-so Christmassy. They’re also great for those who prefer a bushier, fuller tree – particularly at the bottom, you won’t see gaps through the tree. Norway Spruces do start to drop their needles once cut, and particularly when in the warm, so they’re more suited to those who tend to buy closer to Christmas. 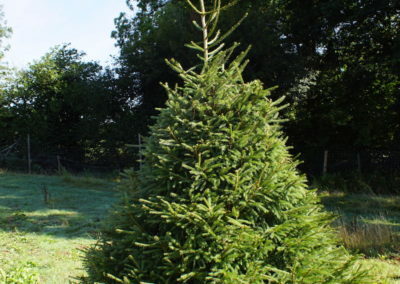 For the same reason, they’re a great choice for those looking for an outdoor Christmas tree. 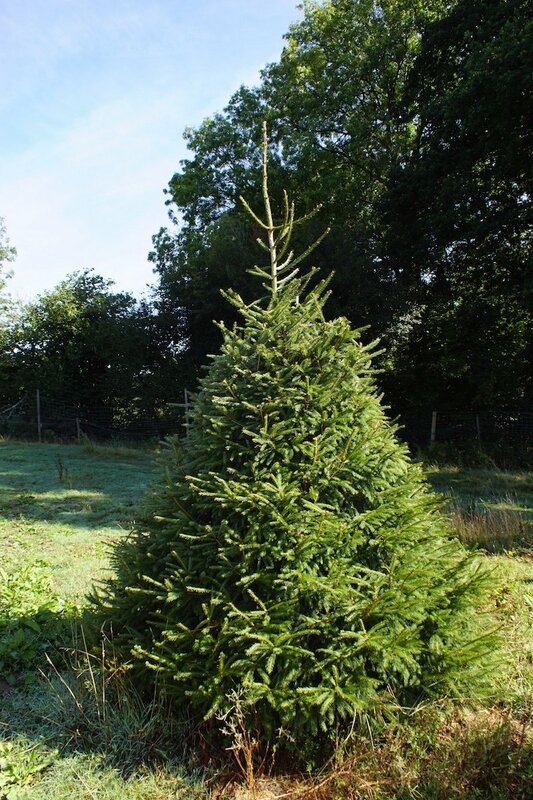 To order one of our fantastic homegrown, fresh-cut Norway Spruces online, click below. You can choose your delivery date and we offer free delivery across the UK mainland.